I woke up early on Christmas Eve to get started on the cake balls. 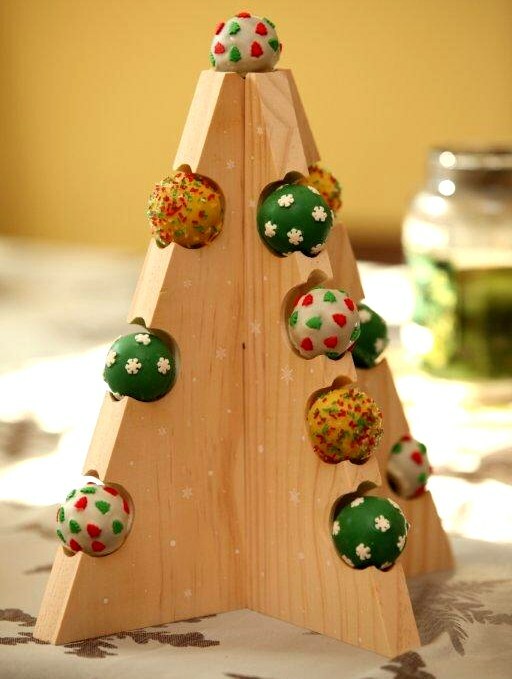 I had a clear vision in mind for this Christmas dessert, and it was basically making really fancy, hand-decorated cake balls that were to resemble ornaments on this wooden tree stand I bought from Godiva last year. The tree came with wrapped chocolate truffles, but those are long gone and all that remains is this simple wooden display. 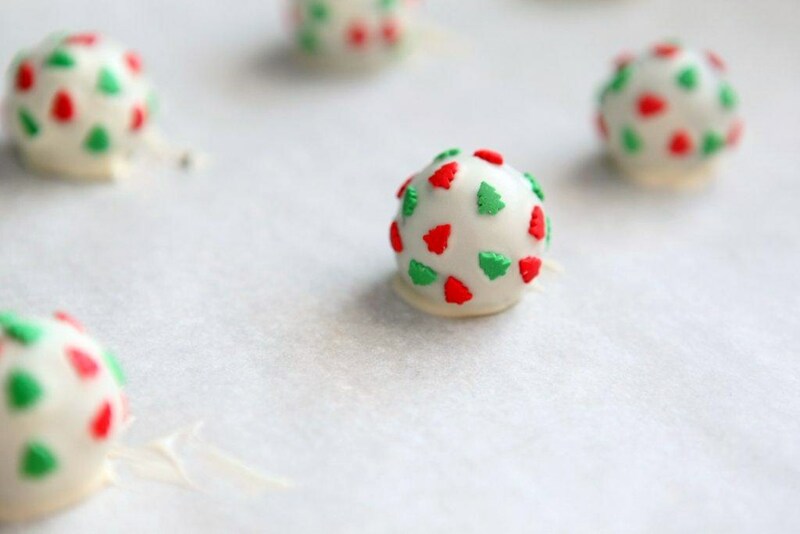 Although these aren’t my favorite things to do, I admit I’m getting quite adept @ making cake balls now. Plus, I had some leftover cupcakes from last weekend, and what better way to salvage dry cupcakes but to process them into cake ball dust?